May the cheeses you receive bring you bliss and may you have fun exploring what makes them so exceptional. 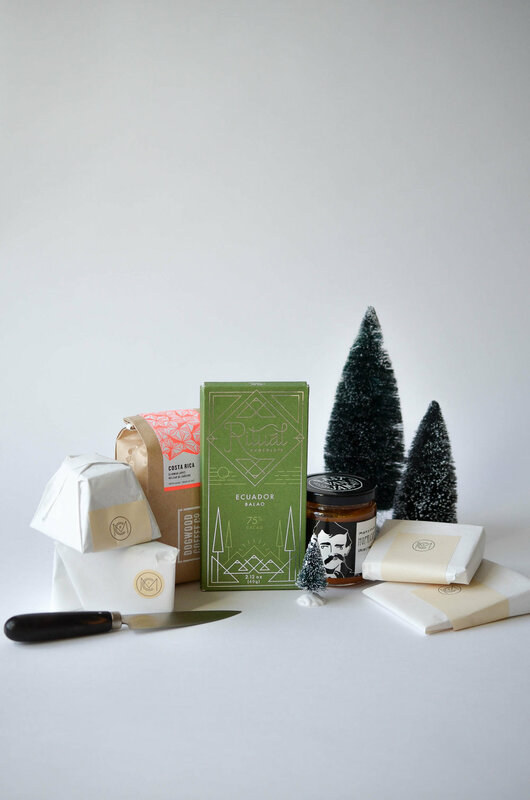 The Monger is the classic cheese gift to show appreciation to those who bring you joy. This beautifully presented gift box includes a selection of three cheeses, hand selected by our mongers and will allow the recipient to explore various milk types and cheese styles from near and far. 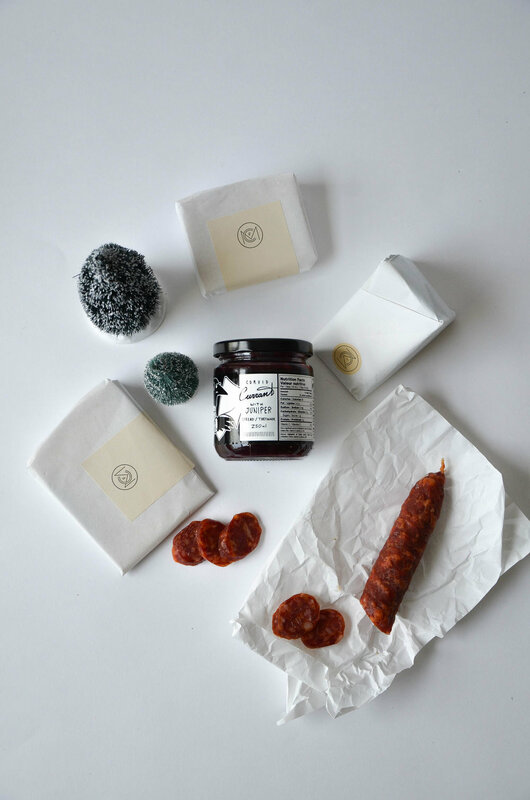 To accompany the cheese, they will also receive two accompaniments, specifically chosen to compliment the cheese; cured meats, compotes and artisanal crackers are just a few of the items you might find in The Monger. With approximately half a kilo of cheese, there will be enough for the recipient to share with some very lucky loved ones. 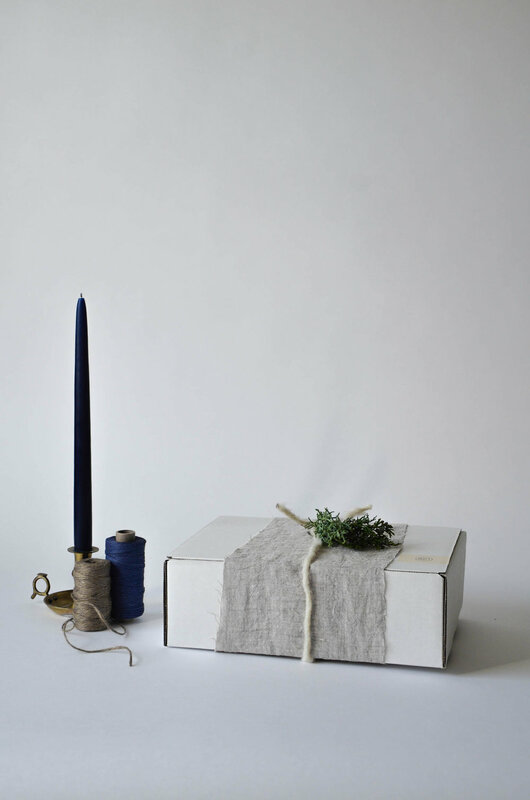 *Add a bottle of wine to any of our gift boxes or Cheese of the Month Club. Cheese and wine are natural companions and the harmony between the two elevates the experience to an other-worldly level. We work closely with the sommeliers at Banville + Jones to pair wines specifically to highlight the unique characteristics of the cheese. 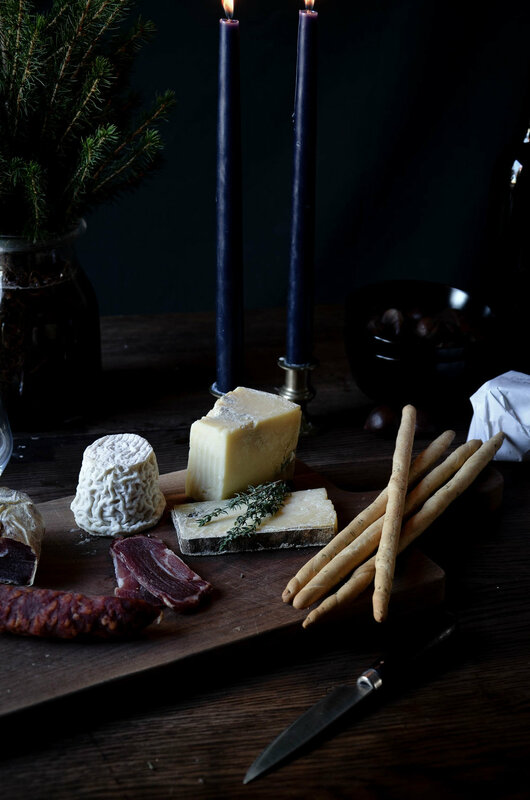 The Fromager is the perfect gift to share if you want to be a hero. Your cheese lover will appreciate the journey the contents of this gift box will take them on, as they explore cheeses of varied milk types and styles from around the world. The Fromager gift box includes three hand selected pieces of cheese, along with three or four premium accompaniments, skillfully chosen to be enjoyed with the cheese and to highlight their nuanced characteristics. The Fromager is a gift that will be genuinely appreciated and with over half a kilo of cheese, there will plenty to be shared and enjoyed with loved ones. 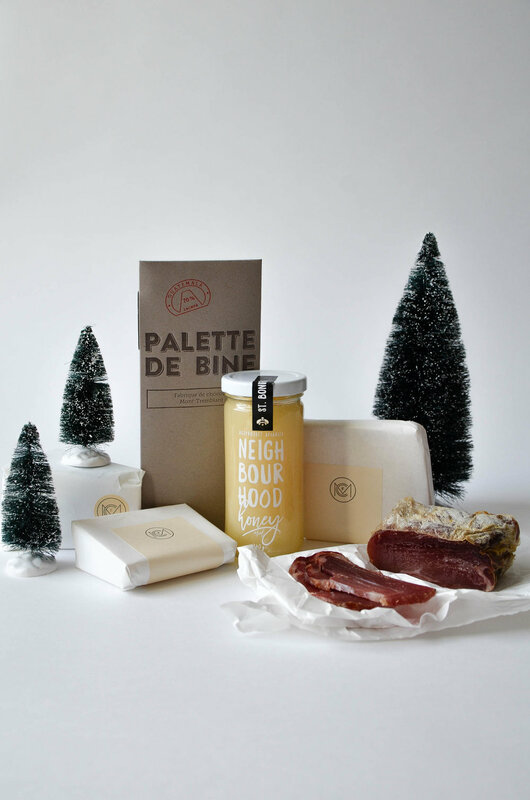 The Affineur is the ultimate cheese lover's gift. 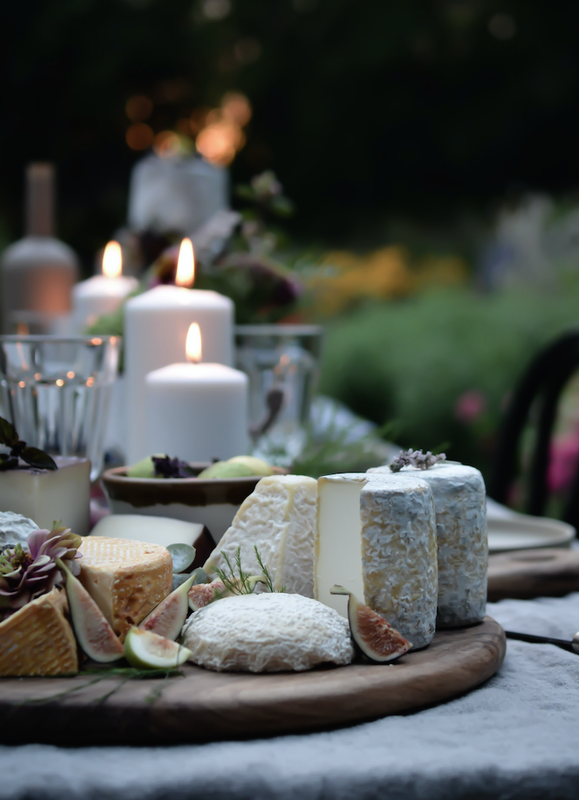 With four generous pieces of premium cheese, the recipient will have the opportunity to enjoy some of the most exceptional and indulgent varieties we offer - cheeses they will not often have the opportunity to savour. The Affineur also includes a selection of premium provisions that appeal to the most discerning palates. As with all of our gift boxes, our mongers skillfully select the accompaniments ranging from artisanal compotes and cured meats, to handcrafted cocktail mixes and bean to bar chocolates . We like to get creative and choose just the right accoutrements to take our cheeses to the next level! Contact us to curate your own, personalized, Cheesemongers Bespoke Box. Let us help guide you through our selections to design the perfect gift. Your friends, family and colleagues bring joy to your life all year long. Enjoy a great spread together and celebrate with a sense of occasion! We offer stunning cheese and charcuterie platters to-go and custom event boards that will be beautiful, delicious and buzz-worthy. We fill our boards with our favourite cheeses and all the accompaniments you need to thoroughly savour them. We will always include baguettes and/or crackers, as well other artisanal accoutrements such as fresh and dried fruits, unique compotes, nuts and olives. Adaptable to accommodate group size, budget and dietary requirements, we are happy to discuss your specific tastes and whims. *** Please call us for more information on custom boards for your party or event. On-site set up and delivery available. Need a selection of cheese for your holidays? Let our mongers make it easy for you and take home one of our holiday grab bags. A great way to enjoy new cheeses and to broaden your horizons, the Grab Bag is a fun way to curate a board, stock your fridge or share a gift with someone you appreciate! With three options, you can choose the size that best suits your needs. ***Please call ahead and reserve your Holiday Grab Bag for pick up.